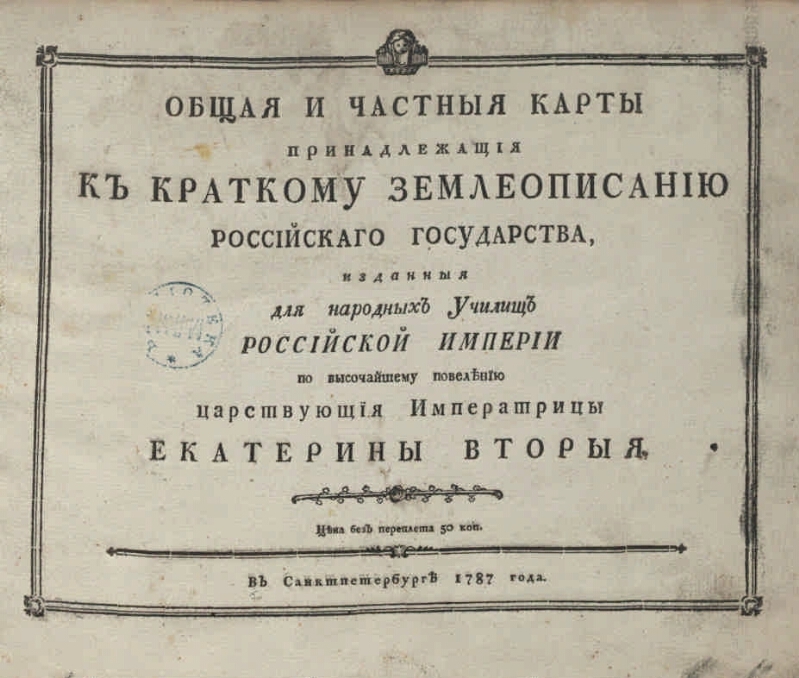 The general and private maps belonging to the Brief Land of the Russian State, / Issued by the highest order of the reigning emperor. Catherine the Second. - St.Petersburg: [Type. 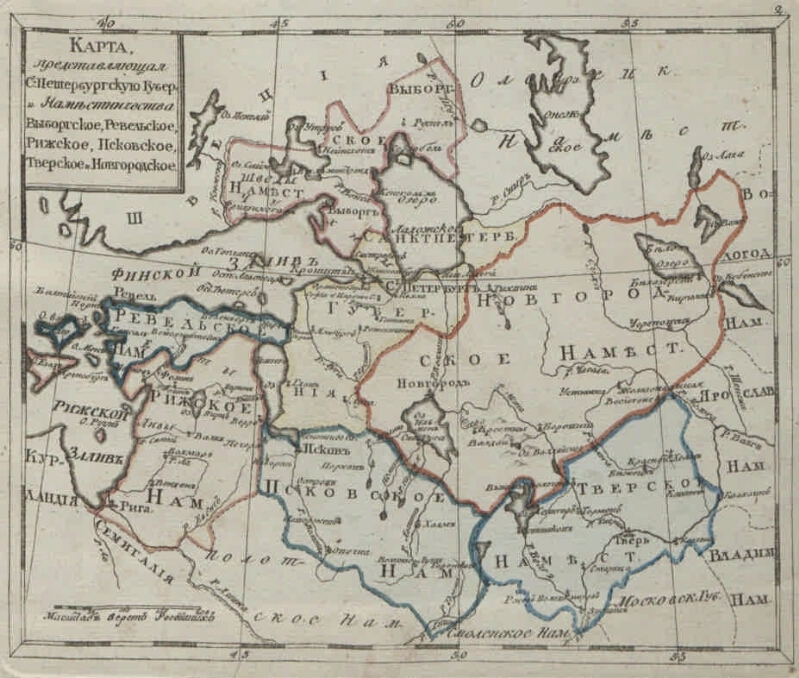 Breitkopf], 1787. -  with., 9 liters. to. ; (22x27 cm). - Circulation 3000 copies. 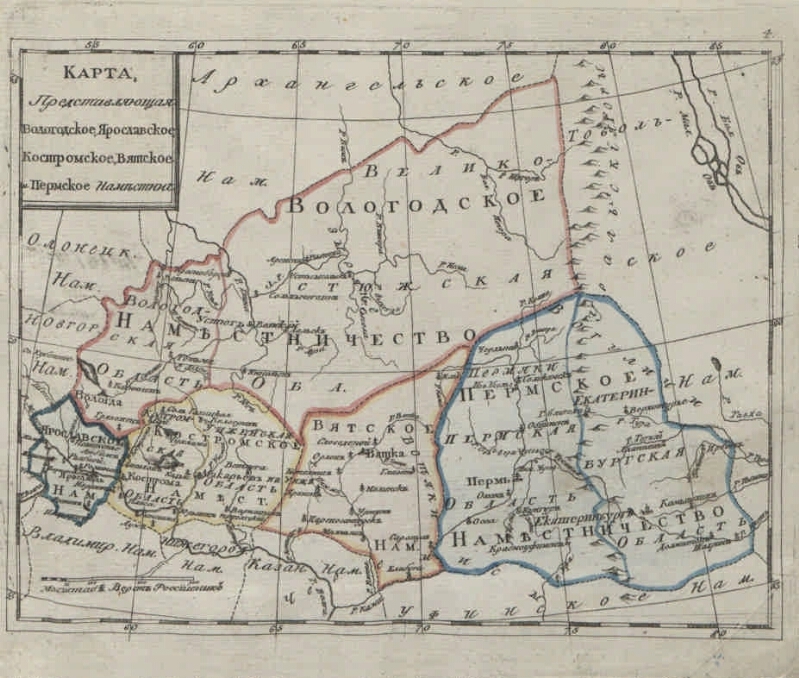 - Atlas to the "Brief Landing of the Russian State" I.F. Hackman. - SK XVIII . 1. 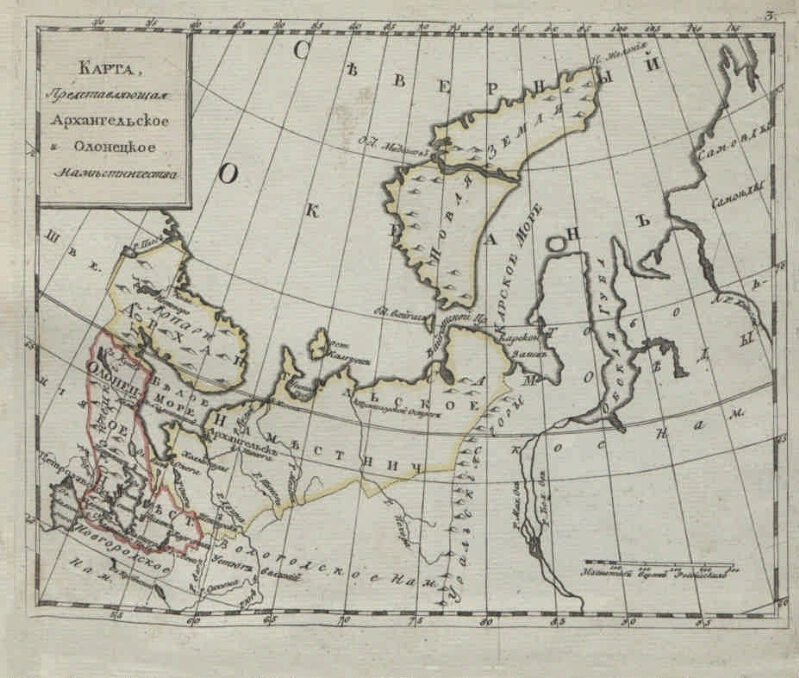 Russia - Geography - the 18th century. - Maps.